I am going to share something that I have kept private for the past few years. Some of you may know, because it has come up in conversation, but some of you may have no clue. For those of you that have been kept in the dark I apologize in advance. A few years ago I was diagnosed with End Stage Renal Disease. I found out that I was going into kidney failure. I began treatments with the hope of someday getting a transplant. Unfortunately, I was not a candidate for any transplant program due to my size. I was 433 pounds. 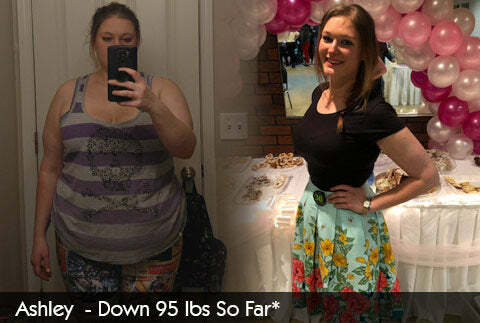 At first I was discouraged, then pessimistic, then I knew what I had to do to become healthy. I needed to make a lifestyle change. I met Dallas Page a few years before being diagnosed with kidney disease. I can remember him telling me to get healthy because something major would happen and it would be difficult to get my health back. I booked him to speak at the college I was attending and learned about his Own Your Life principle. Now don't get turned off because I'm not trying to sell you anything. Dallas developed a lifestyle that empowered every individual to achieve their personal, professional, and health goals. Your success, your health, everything was in your hands. It was during this time that I was also exposed to his DDP Yoga program. I can say that this has had a huge impact on me. Dallas will tell you that this concept was not easy for me to grasp. I remember him playing on the fact that I was pompous about my intelligence and saying something like, "Are you not smart enough to realize you're killing yourself." this is exactly what I needed to hear. Fast forward a few years and I was doing dialysis treatments five days a week, I was still severely overweight, and my outlook was not positive. That's when I decided it was time to Own My Life. I wanted to be healthy. I wanted to live! By the grace of God I began making small changes. Suddenly my weight went from 433 to 400. Then from 400 to 380. Then from 380 to 340. Now I weigh 297 pounds. This is still overweight, but compared to where I was, it is a huge improvement. I am continuing to work on losing with a better diet and DDP Yoga. In February, I was finally listed on the kidney transplant recipient list. I thank Jesus Christ for saving my soul and giving me strength. I thank Dallas Page for being a friend and calling me out before I even realized I needed it. I thank my loving wife and wonderful family for their support. The best way to receive a transplant is from a living donor. I ask you, that if you are willing to get tested to see if you can donate, to please let me know. This is one of the hardest things to ask, but I want to live a long life. I also write this to increase awareness about kidney failure. There is a huge list with an average wait time of five to seven years before you can receive a transplant.